Mapping is an important part of that process. 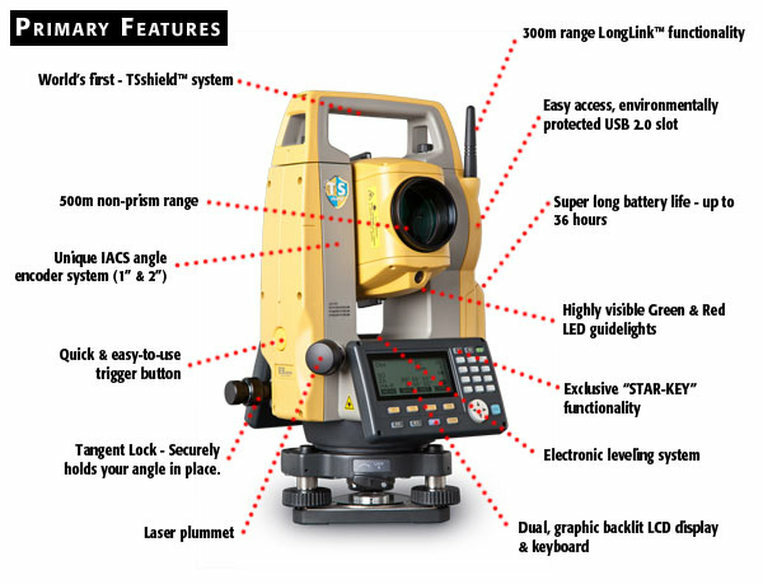 So we spent our early days on the site being taught how to use a Total station and prism (photo above). 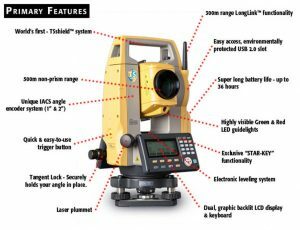 In many ways, as Ed Eastaugh from the Department of Anthropology noted, the Total Station is one of the most important pieces of equipment we can use on a project like this field school. It would allow us to accurately map the condition of the Lawson site at this moment in time. This, together with all of the current and past activity evident on the site both natural and human, would provide a comprehensive evaluation of the activity on the site over time. In those early days of the field school, Ed taught us how to set up the total station and how to operate record location information from it. Darryl Dann was a volunteer at the Museum who also helped the field school. 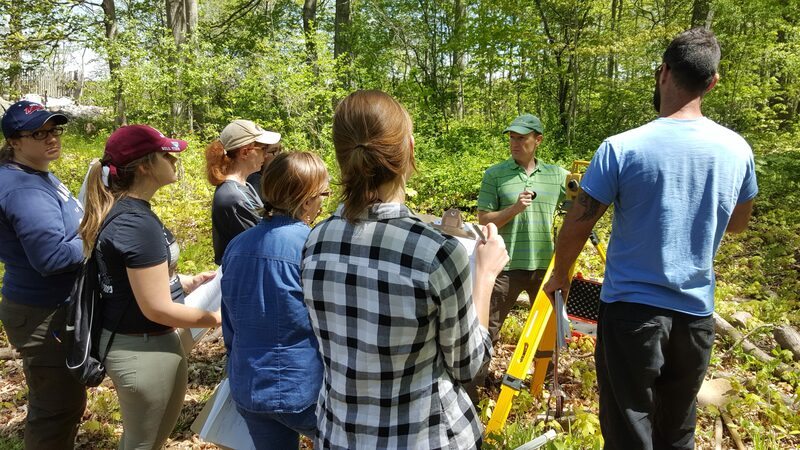 Darryl, an avocational archaeologist, pointed out cultural features present on the forest floor, and features of current conditions on the site that need to be part of the mapping process. Recording these features and site context – basically where everything is across the site that is either a feature of the archaeology. It can include a feature of the current land use and those characterising the surface of the site (such as building locations, sign poles, paths, etc.) is critical for this long term caring for the Lawson site. By understanding accurately where previously excavated and unexcavated portions of the site are, we can ensure the site’s integrity and preservation for the long term. Ultimately, our work will inform future actions at the Lawson site for generations to come. But most of all, the field school taught us to remember that stewardship and management is not simply about mapping and collecting, but about making sure that all people who care for a site appreciate the cultural significance. At the Lawson site, the museum, archaeologists, community, and Indigenous peoples who celebrate the ancestors that lived and worked here, will continue to work toward an archaeological plan that makes the site accessible to all through proper interpretation and understanding. These groups and future generations will be able to appreciate the Lawson site for what makes this place special to them. Really, caring for the site needs to be a community collective decision making process. Our job in the field school was to know and share the heritage of this place and to manage the integrity of the site together for all who will use and have used this area. Archaeology Summer Field School – Site Management and Service May 2016.